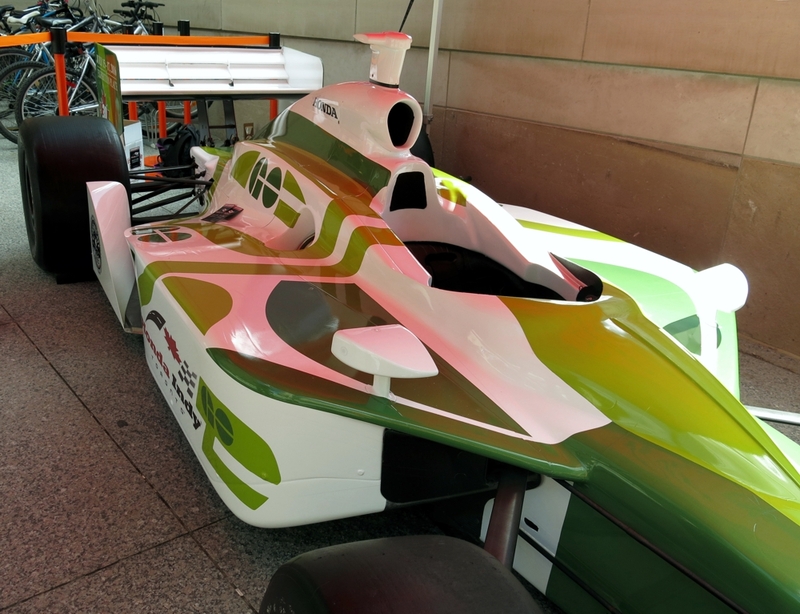 Ten year old William from Ajax won the Design an IndyCar contest held by @HondaIndy Toronto and Metrolinx and the car was unveiled today at Union Station. "The show car will visit special events throughout the city thanks to a tour brought to life by Chemical Guys Canada, a company that specializes in professional auto detailing supplies and car wash chemicals, which will include stops at GO stations in the Greater Toronto and Hamilton Area this month." 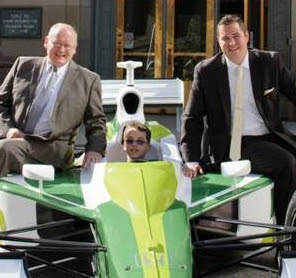 The contest was open to children 12 and under and ran from May 8th to the 22nd and Jeff Atkinson, President of Honda Indy Toronto, and Greg Percy, Chief Operating Officer of Metrolinx revealed the winning design on June 27, just weeks away from the Toronto street course race weekend July 15-17. 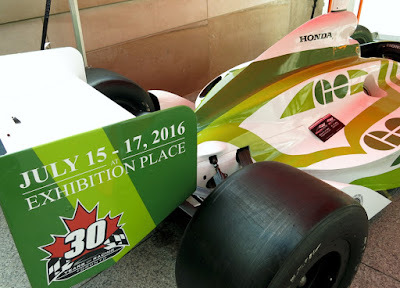 Metrolinx has partnered with Honda Indy Toronto and will have an educational Light Rail Vehicle Exhibit in the Speed Zone as well as the having GO Trains provide stops at Exhibition Place along the GO Transit Lakeshore lines with 30-minute service throughout race weekend. Event volunteers and children 12 and under accompanied by a ticketed adult with a valid GO fare can ride the trains for free. General admission tickets start at $40 and are available now while admission is free with a voluntary donation during Fan Friday, July 15, courtesy of the Ontario Honda Dealers Association. 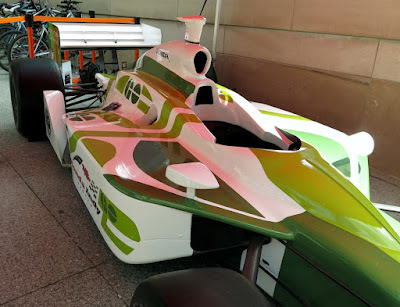 Will Power won last weekends Kohler Grand Prix and the IndyCar season continues with the upcoming July 10th Iowa Corn 300 followed by the Honda Indy Toronto starting on the 15th. Canadian driver James Hinchcliffe of the number 5 Arrow car currently sits in 13th place in the Verizon IndyCar standings. The Mayor of Hinchtown has been in the top 10 four times so far this year and had to start the Kohler race at the back of the pack after picking up a blocking penalty. Still he managed to make his way into 14th place by the end of the race. “Kind of a bittersweet day. The Arrow car was really good on the reds and we went off sequence a little there to try and get some clean track and pumped out a lot of quick laps and made some gains on some guys, “ The Mayor said. “I had a spin early on in the race, which really killed us not having a yellow early on to catch back up. We weren’t quite as strong on the blacks as we were on the reds and unfortunately that first stint I had a spin and if the last stint had stayed green I think we would have been ok. However we had just put sticker blacks on, but then on the restart you kind of get swallowed by the guys on reds. So just some bad timing on the yellow, but like I said the car was awesome on reds, we had the third quickest race lap and unfortunately we just weren’t able to quite as much progress as we were hoping for today."